The Martin County Health Department (MCHD) offers Title 10 coverage (financial assistance) for men who qualify based upon income and family size. 1. Please call 772-221-4030 Ext. 2251 or 2257 and express an interest in Title 10 vasectomy services. 2. Receive vasectomy counseling and financial screening at the Stuart Site on Willoughby Boulevard, where you will also sign a consent for vasectomy. 3. If eligible, you will be referred to Drs. Doug Stein and John Curington who will perform your vasectomy at Medical Consultants of Florida in Port St. Lucie (17 miles from the Stuart Site) or at Lakeshore Office Park Suite 100 in West Palm Beach (40.5 miles from the Stuart Site) at least 30 days after the date on which you signed your consent. 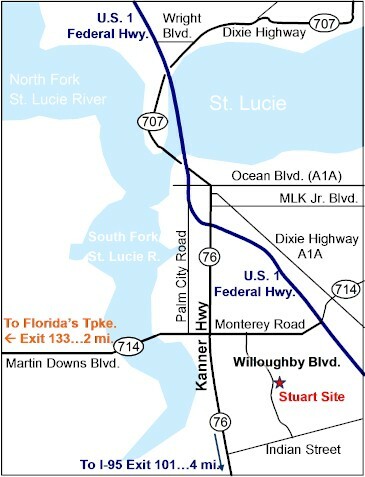 The Martin County Health Department is located in a spacious new building on Willoughby Boulevard south of downtown Stuart, just minutes from the Florida Turnpike and Interstate 95. If there are no more Title 10 funds for the current fiscal year (July 1 - June 30), or if you do not qualify, you may still have your vasectomy performed by Dr. Stein or Curington at Medical Consultants of Florida in Port St. Lucie or at Lakeshore Office Park Suite 100 in West Palm Beach. The fee is $590. See their Schedule for dates.